Series exploring concerns about ageing. Dr Rangan Chatterjee looks at what happens when we lose our hearing, and Bill Turnbull offers pensions advice. That will do. I'll take everything I can get. could help you mature brilliantly. for holding back the years. we are going to pass them on to you. Hello, and welcome to the show that never grows old. Well, we hope so anyway. Can you afford to retire now or in the future? and I can't find the paperwork anywhere, so is that gone? but there are ways of tracing the pension. a little bit louder. You are having to get people to repeat things. if you do experience it. is plan B to build your own? I would suggest that the bungalow buyer's typical age would be 65-70.
they may not be available when they get to 65-70.
retirement. Are you one of them, perhaps? available to you are, or what your state pension is worth? the Holding Back The Years pensions parlour. at the post office and collect your old age benefit. then it's up to us to make sure we know as much as we can. But everyone can do with a little help. we are setting up a pensions parlour to do just that. then we're going to need a proper expert. She's got one mission - to help people plan for their future. having to take personal responsibility. is to think that, "I need to think about what I need for my retirement." "so that will be all right, won't it?" Well, the state pension is £159 per week in today's money. either through a private pension or through your workplace. Well, she certainly seems like the right person. All we need now is to round up some people with questions to ask. Roll up, roll up, bring me your pension questions. Come on, then, come and see me. Do you know what a pension is? Do you know how much your pension is? Roll up and we'll tell you. -You know what a pension is? -OK. Are you saving for a pension? Are you saving for a pension? so I'm reliant on property to be my pension. Does that worry you at all? Do you know what a pension is? -Are you saving for a pension? and I'm with a company pension. -You'll be all right then. -Why do you think we are together? Because she's got the money! to offer a suitable workplace pension for their staff. and that's exactly what 25-year-old Amy Mann is concerned about. What would you like to know from Michelle? Just how Nest works and what happens when the money goes in and out? a long time for the money to build up. via the National Insurance that you are paying. how much you've got in your pension pot. that Amy is contributing to a pension scheme, though, isn't it? That's right, definitely, a long way to go. income it's likely to provide for you at retirement. there are two types of workplace pension. One is calculated by how much you or your employer puts in per month. It's called a defined contribution pension. somewhere, is a defined benefit pension. So what if you have both types? and former council employee Louise Goodman. so I'd like to know a little bit more about that. It's supposed to be a self-investment. And this one is my local authority one. What shall I do with it? Shall I leave it? which is the local authority pension scheme. and then that is revalued each year with inflation. you should leave it where it is. at retirement, and the pension keeps pace with inflation. is a self-invested personal pension plan. where you wanted to invest the money. it's not unusual for people to have more than one pension, like Louise. Louise has got seven different pensions. That's a lot to keep your eye on. and what charges that you're paying. "Actually, I'd like to pop that into one of the other pots." together, it's important to know what you would be giving up. of your scheme's terms and conditions. Of course, not everyone goes down the pension route. of getting a retirement income. having something in pensions as well. you should be adding more, too. If you want more out, you have to put more in. so it's a very, very efficient way of saving. and make sure that you can actually bring down your tax rate. that a lot of us might be familiar with. these days, but there are ways of tracing the pension. the government runs a pension tracing service. and be managed by a pensions administrator. because people have forgotten about it or lost the paperwork. and have I got a pension scheme to match all of those places? is you don't have to put in pension contributions for your employees. So, a busy day in Manchester but we weren't finished there. I get out on the prowl for more pension punters. Tell me what you're worried about and see if we can sort you out. And Michelle tackles even more questions. to claim if anything occurred to me. giving top tips on what to expect as we get older and how to fix it. which will affect four in ten of us over the age of 50.
in one of our senses after the age of 40. That's eyesight, hearing, smell, touch, taste and balance. Today, I'm trying to keep an ear out for your hearing. have some form of hearing loss. It's incredibly frustrating for those who experience it. It's a condition that can lead to social isolation and even depression. So, what can be done to test and tweak hearing loss? to speak to Danny Kearney, senior audiologist. So, Danny, what happens to our hearing as we get older? in the inner part of our ear. and they have to last our entire lifetime. that we need to hear the sounds. What do people first notice when their hearing starts to go? a little bit louder, you're having to get people to repeat things. and they don't speak as clearly as they used to. Of course, some people's hair cells might deteriorate more quickly than others. Maybe due to family history, infection or disease. which, given my love of rock music, is something that could apply to me. But hearing loss isn't always how this damage manifests itself. Sometimes it presents itself in a condition known as tinnitus. So, Danny, many people complain of tinnitus. Tinnitus is noises that we hear within the ears. People often describe it as a ringing or buzzing sounds. that in itself doesn't cause hearing loss? getting it investigated if you do experience it. about how these problems are affecting your day-to-day life. such as a build-up of ear wax or an infection. and what treatments would work best. -So, I'll play you a series of tones. And whenever you hear a tone, I'd like you to press a button. who has been experiencing some hearing issues lately. OK, gentlemen, so I have the results here. and the blue line for your left ear there. For the low pitches, your hearing is within that normal range there. but we are having to make it slightly louder. was worse than the left ear? turn your best ear to the sound. Now, on to you, Rangan. for the low and the mid-pitch sounds. that's a bit more on the borderline. where there's been sort of noise exposure. to the nerve fibres in that area. Yeah, a little bit shocked to have a small area of hearing loss there. when I was in my 20s has actually had an impact. Which is still a little bit of a lesson for all of us. who has suffered from the condition for many years. you believe the evidence the other people are giving you. You believe that you're stupid, you believe that you can't do things. go to pubs, so you stay in and spend a lot of time by yourself. is to get a hearing aid. often amplifying everything, including background noise. Today, Tim uses a revolutionary cochlear implant. and Tim's now showing me how it works for him. This fits onto a screw that's inside of my head. and go straight into the part that works OK.
but gives you a very similar effect. this is bone conduction through your bone. and it even comes with some added bonus gadgets. This is the most useful piece of equipment. and I can hear them, wherever they are. This one is a TV streamer. I had on the television. and Lynne can adjust the volume according to her. There is only one problem - she gets the remote. where I'm going to test the tech for myself. First up, I simulate significant hearing loss. OK, how does that sound for you? and it makes me feel a little bit uncomfortable. when he uses his new hearing device. Two, three, four. How are you? How are you? Oh, yeah, I can hear you. Yes, and it cuts out all the background noise as well. But there's something else the implant lets Tim do. Raise your hand if you can hear me. Now raise your right hand. He can hear people up to 30 metres away. I can tell you what I want. Tim, a seriously impressive bit of kit. I can see how this has revolutionised your life. What would you say to people who are suffering with hearing problems? I would say lose the fear. stay within the National Health Service. so I wonder what tips Dr Danny Kearney can give me. than normal or you are mishearing things then do go to your GP. invest in some ear protection. or moulded earpieces with different filters. to help keep the wax nice and soft and moving out of the ear canal. and work out when it all happened. And it's a very simple question - what was the year that was? that all happened in the space of a year. But which year? From my point of view, I'm at the centre of the web. almost as soon as they are made. But the quantity of data is doubling every 18 months. -You know where we are. And we'll reveal the answer to that at the end of the show. whether it's for our grandparents, parents or even just ourselves. Where we live has a massive impact on that. or up and down the stairs. but we are facing a national shortage. So, what is the plan B? Fiona has been exploring the options. steps can become a real problem. they start to become more akin to climbing Everest. And yet, many older people simply don't have an option. could be living in unsuitable houses for our age. For people like May Evans, it can be akin to being imprisoned. She has lived in this housing association flat for four years. -Hey, May! I'm Fiona. Hello. -Yes. Would you like to come in? I would love to come in. Thank you very much. and straight ahead of you you've got stairs to contend with. I found that the stairs were really a problem. "Will I actually make it to the top?" I was getting really bored and frustrated. I would be most unhappy and probably very lonely. in a single-storey bungalow, but times have changed. In 1980, one in six new builds were bungalows. Today it's less than one in 60.
for bungalows - Sue Leeburn. which deals exclusively in bungalow sales. Today, she is showing me around a prime example in nearby Rowton. It's a 1960s bungalow, typical of the area. but they'd rather have a dining room that's separate to the sitting room. So how is business in the bungalow world? we'll find a buyer for it. In fact, often more than one buyer. they just don't build them any longer. out of reach for many older people. So, the crunch question - how much do bungalows cost? This is a three-bedroom bungalow. This is on the market at £240,000, but it will get that level of price. So why aren't more being built? I think it's a land issue, to be honest with you. the greater your profit margin is going to be. and who, until recently, spent most of her life living in bungalows. The first bungalow I lived in, I moved to when I was three years old. It was one that was built either during the war or just after. And I actually bought one of my own. That was a two-bed semidetached. Quite nice. I did it up fairly well. I spent quite a bit of money on it. so I sold it and I went to live on a farm. for a bungalow, what would you say? is in the form of flats, while bungalows make up just 2%. Have you ever tried to rent one? No. I mean, I find they are very expensive to rent privately. for more bungalows to be built. enough profit from them, so is there a solution? First up, what's his take on the great British bungalow? Is it a design classic, do you think? as a real housing solution for modern day living. The more they build, the more they can max out their profit. So what do we do about that? That's not going to go away, is it? And that can be done through planning law. to this very contemporary problem - prefabs. as a modern solution in places like Sweden. So could it be about to come here next? Can you get different types? rather than constructed on the site. But is it ultimately the solution? smaller single-storey homes, I think it's part of a solution. Well, it certainly seems ingenious - in theory, at least. what's available in kit form. -So, May, you want to get out of that flat. Have you ever thought about maybe building your own bungalow? I would love to, if I could afford it. So, how can she afford it, Neil? which actually save you money. and that will bring the price down. So, how much would it cost May to buy a prefabricated bungalow? What sort of a bungalow are you looking for? At 75 square metres, you're looking at about £135,000. the land it sits on is another question altogether. There might just be a solution on the horizon. and councils are now under an obligation to provide land for self builders. they've got to think about so many plots for self builders. a reasonable price, for people like you who want to do a self build. Are they duty-bound to do that? Perhaps that's why so many of you are saying, bring back the bungalow. So, we're talking about pensions. Roll up, roll up for your pension questions. ..and our expert Michelle Cracknell is giving them advice. So, Michelle, how is it going so far, do you think? about thinking what implications that has on their pension. and where to go to get help. Roll up, roll up, ask your pension questions here. All the answers, free of charge. Come on, then. Pension questions for Holding Back The Years. And soon we were under way. First onto our comfy sofa was Brandon, a 21-year-old student. -So, look, have a biscuit. Brandon is about to enter the workplace for the first time. Well, Michelle said she did want them young. I would imagine you probably haven't done much about a pension. -OK, what's your question for Michelle? as an actor and self-employed, so how would I go about that, I guess? thinking about pensions, the easier it is to save. you could start popping that into a pension as well. and this number is rising. but there are still some tax breaks you shouldn't miss out on. usually up to £40,000 a year. the government will add an extra £25. But how much should Brandon put away? you should put in half your age. you should be putting in 11% of your salary into a pension scheme. and get into the habit of putting something away. And after that, they just kept on coming. Amanda is a 52-year-old stay-at-home mother. but there may be options she hasn't thought of. So something else just to check up. Go onto the gov.uk website and ask for a state pension forecast. to build that up as well. that is a challenge for you, isn't it? and you would have a share of that. of a financial settlement into retirement income. So certainly things to think about. Thank you. Thank you for your advice. of his final salary pension. As Michelle explains, this isn't unusual these days. Now, obviously, that could have an impact on the final income. is lower than the previous rules that applied to the scheme. and then all of a sudden the scheme changes. I'm afraid it is very unsettling. Next into our parlour is Bill. when he's no longer around. if anything occurred to me. schemes have updated it to include partners. with her details in order that she does get something on your death. I'll have a wee think on that. Thank you very much. -then you have to make sure you get the paperwork done. -..who else you would wish to receive the money. And are you enjoying your retirement, Bill? I certainly am. I can recommend it. And with that, it's time to close our pensions parlour. We've answered lots of questions and hopefully done some real good. I don't know about Michelle but I'm exhausted. Luckily, there are still some tea and biscuits left. Oh, that sounds lovely. Thank you. So, Michelle, I think a very useful day. that you can give people on pensions? I think the first one is it's never too young to start. it could really help your savings. And finally, my third tip, don't be afraid to ask questions. the most and therefore get the highest retirement income. -with us today and thank you so much for your help. for the pension patrol, I thought. our comfy seats might be coming to a shopping centre near you. What Was The Year That Was archive quiz. Fiona? A very big year - the year that the Berlin Wall came down. OK. The shutters are coming down on this programme. -Until tomorrow, see you then. Can you afford to retire - now or in the future? Bill Turnbull offers some pensions advice. 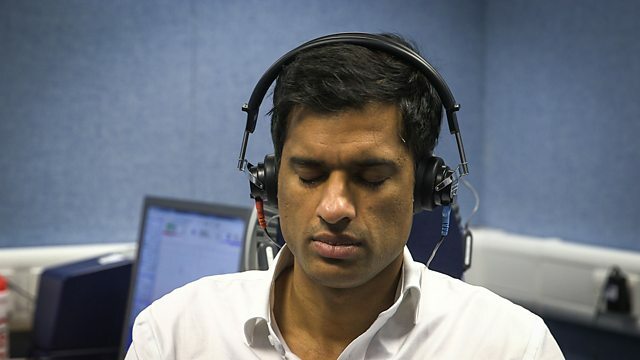 Next, as part of Dr Rangan Chatterjee's Making Sense of your Senses week, he looks at what happens when we lose our hearing - and what can be done about it. Finally, with Britain's bungalow-building crisis bad news for anyone for who finds stairs difficult, Fiona Phillips asks whether building your own is an option.